Estate Planning, Probate, Trusts & Wills Law Firm. Call for a FREE Consultation! Making decisions about what happens after you pass away is often difficult. So is knowing what to do when a loved one has died. At the law office of Fred Glickman, we take the time to listen to your individual needs and concerns. After learning about your financial situation and your family circumstances, we discuss the options best suited for you. Then, we prepare all the necessary documents and review them with you. Every step of the way, we make sure that you stay informed and that our work reflects your needs. We are committed to providing cost-effective, personalized services for our clients. Take a look at Fred Glickman's biography on this website to learn why you should call us for your FREE consultation. With your individual needs and goals in mind, Fred Glickman will tailor your estate plan so that it protects you, your family, and your property. Your estate plan may include a Will or Trust, how you title your assets (such as in your own name, or jointly with your spouse) and contracts as buy-sell agreements and prenuptial agreements. Your estate plan will distribute your assets as you wish and minimize administrative costs and taxes. And you will have peace of mind because we prepare your estate plan so that it will be extremely difficult for anyone to challenge it later on. Sometimes assets are held so that the only way to transfer them to your loved ones is through what is known as "probate." In probate, a judge supervises the procedure, which makes it relatively costly and lengthy. With proper advance planning, probate can be avoided. We will be pleased to show you how this can be accomplished. It is important to have a correctly prepared Will because it provides security to your family during a difficult time. Depending on your needs, a Will can be very basic, or more complicated. 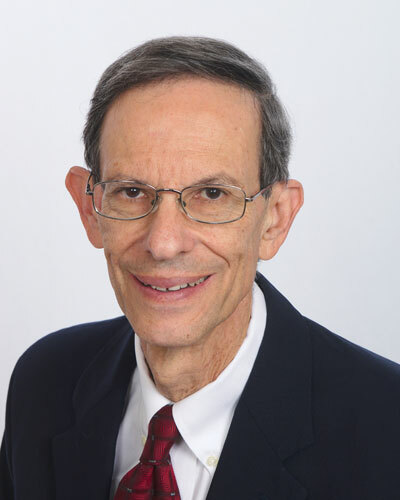 Fred Glickman will explain the different options available for your specific situation, and customize your Will to ensure that it reflects your personal choices as to how your assets are to be distributed upon your death. For instance, you may decide to create Trusts for beneficiaries (such as grandchildren) who are too young, or not sufficiently responsible, to receive all their inheritance at once. You may decide to have provisions for the lifetime care of a cherished pet. A Living Trust is a document created not only to hold your assets while you are alive, but also to assure that things run smoothly in case of disability, and to distribute the assets upon your death without the need for probate. As long as you are alive and not disabled, you will be in sole control of your assets. This document is also known as a Declaration of Trust, Revocable Trust, or Inter Vivos Trust. For the Trust to be fully effective, assets need to be transferred to it. We will help you make these transfers in the most efficient and cost- effective way. If you utilize a Living Trust, only tangible personal property, such as jewelry, artwork, furniture and autos, are dealt with under the Will. For all other assets, the beneficiary under your Will is the Trust. The provisions regarding who receives which of these assets are in the Trust. Your Will may also include other information such as instructions regarding funeral arrangements and the naming of a Guardian for minor children. A Living Will typically states that no extraordinary efforts are to be made if you have a terminal medical condition, with no reasonable prospect of recovery, and death is imminent. We will tailor your Living Will to reflect your needs and desires regarding your medical treatment in case of severe illness. A Medical Power of Attorney should be prepared along with the Living Will. This document names a person to make medical decisions if you are incapacitated and cannot make those decisions on your own. If your loved one has already died, and probate is unavoidable, Fred Glickman will work with you to minimize both the delay and the expense of probate. When there is probate, a legal entity called the estate is created. Our office will guide you through the various steps of the probate procedure and explain the options available to you. The probate process is also known as estate administration. Sometimes, as a result of a death, a Trust needs to be administered. Trust administration is normally without court supervision, so it proceeds more quickly and inexpensively than does probate. Our firm philosophy is not complicated. We offer top quality services at reasonable prices. We have been doing this for over 35 years. Check out our client reviews and awards on Avvo.com. We also have an AV Preeminent rating from Martindale-Hubbell, the highest possible rating in both legal ability and ethical standards. Fred E. Glickman concentrates in Wills, Trusts, Estates, Probate, Guardianship, and Litigation in these fields. He has practiced in these areas of the law for over 35 years. He has argued cases in the Florida District Court of Appeal, the Florida Supreme Court, and the United States Court of Appeals. He currently has the highest rating from Martindale-Hubbell, the national rating agency for lawyers. According to Martindale-Hubbell, this rating is "a testament to the fact that a lawyer's peers rank him or her at the highest level of professional excellence." He is a Past President of the South Miami-Kendall Bar Association. He is a member of the Florida Bar Real Property, Probate & Trust Law Section. He has the highest rating given to attorneys by Avvo, a website devoted to providing information about attorneys, together with dozens of positive client reviews the website. Please see Avvo.com for all details. Fred received his Law Degree from Columbia Law School and his Master of Business Administration from the University of Chicago. He received his Bachelor's Degree from Dartmouth College, where he was a member of the Phi Beta Kappa honor society. Fred has lived in Miami for the past 35 years and is an active member of the community. For the past 16 years, he has participated in the MS Ride, which is a two day, long-distance bike ride that raises money for multiple sclerosis research and treatment. Because of his success as a fund-raiser, the National MS Society has honored Fred by making him a Club 151 member. He has received awards from the South Miami-Kendall Bar Association for providing legal services free of charge to those unable to pay for them.